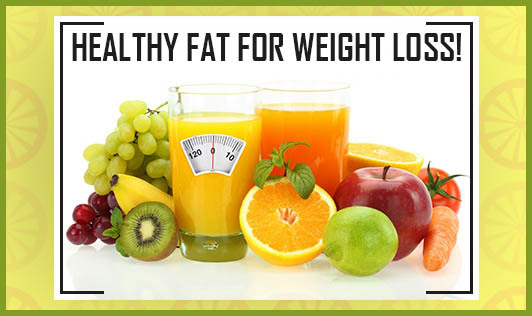 Healthy Fat for Weight Loss! Myth: A diet with zero or very less fat or shunning carbs or high protein diet or low carb diet can lead to faster weight loss. Fat in the diet signals the brain about the satiety (feeling of fullness) levels. The brain may not recognize when you are full and make you overeat if the fat in your diet is inadequate! Low fat diets are generally high in carbs, leading to increased secretion of insulin that in turn triggers fat storage. Healthy fats in diet means less insulin and more stable blood sugar. Manufacturers claim low fat or fat free foods. Usually, fats are replaced by substitutes (usually sugars) again leading to increased secretion of insulin, cravings and weight gain. Fats no doubt provides us energy but also helps in absorption of fat soluble vitamins like A, D, E and K.
Cholesterol is a precursor for the formation of most of the hormones including leptin that controls the hunger mechanisms. Essential fatty acids add glow to your skin and keep it soft. Of course fats give food a unique flavor, consistency and taste! According to the Indian Dietary Guidelines, 20-30% of the overall calorie intake in a day for an adult should be contributed by healthy fats.